Chauncey Maurice Aksamit was born May 6, 1935 in a farm home southwest of Alexandria on the banks of the Little Blue River. His parents were Mary (Javorsky) and Vaclav Aksamit. He passed away Sept. 18, 2018. 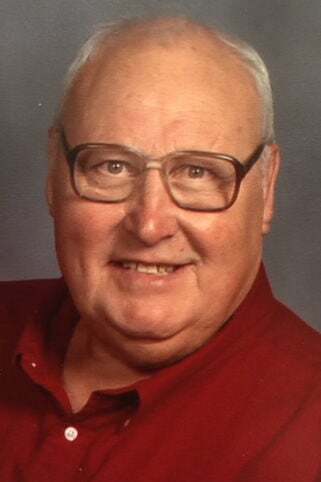 He attended School District 10 (one-room School) for 8 years; graduated from Alexandria High School in 1952 and attended Fairbury College. He was a Volunteer Fireman at Fairbury and on the Alexandria Fire Dept and Rescue Unit. In 1959 he married Shirley Ann Cacek of Beatrice. Chauncey and Shirley adopted their son Gary Dwight Aksamit in 1969. April 3, 1949 he was received by baptism into the Alexandria Presbyterian Church where he served as Ruling Elder in 1971. In 1957 he joined the Fairbury Elks Lodge. From 1956-1991 he was a Bricklayer/Stone Mason and a Building Contractor for “Aksamit Construction.” He was a Steward of Quarter Horse Racing and raced Thoroughbred Horses in 5 states. The Aksamit family built and operated Country-Lakeview Cabins located north of the Alexandria State Lakes from 1966-1981. In 1987 he was chosen to erect the Sixth Principal Meridian Monument at the Kansas Nebraska state line. That point was used to survey five states. He is survived by his wife, Shirley, Bruning; son and daughter-in-law Gary and Laurel Kastrup-Aksamit and granddaughter Reese Isabella Aksamit, Dallas, TX; sister-in-law Betty Aksamit, Nebraska City and many nieces and nephews. He was pre-deceased by four sisters, Ruby Reinke, Sybila Morford, Tekla Lytle, Joan Slagle and four brothers Vaclav, Roscoe, James, and Robert Aksamit. Many people have remarked “Chauncey never met a stranger.” He was known for a remarkable memory of people, events and dates. When Chauncey entered a room full of people there was often a good story or funny joke to tell.